For many amateur astronomers, summer marks the time of year to break out the telescopes and take advantage of favorable weather. Fans of the night sky will have many opportunities to see planets, meteor showers, summer constellations, the Milky Way, and (for some lucky few observers) eclipses. Here are a few highlights to look forward to this summer. 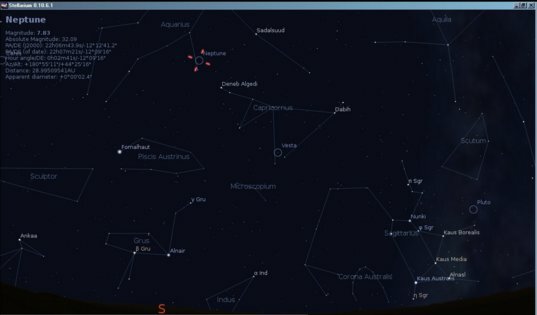 If you need help locating any of the objects mentioned below, I highly recommend Stellarium, a free, easy-to-use, open source planetarium for your computer. June: During early mornings (just before sunrise), low in the east, viewers can catch Jupiter, Mars, Venus, and possibly Mercury (depending on your location). 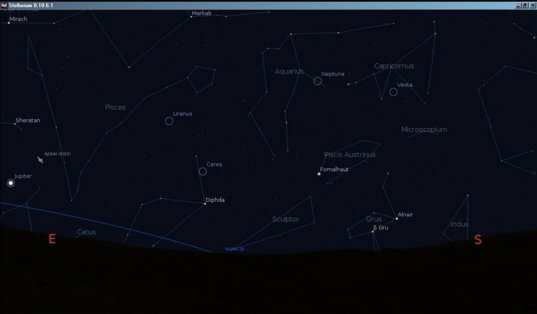 With a telescope you can actually follow the line of planets and try to view Uranus and Neptune as well, making a total of six planets in the early morning sky. June 1 featured a new moon and a partial solar eclipse visible in Alaska, Northern Canada, Greenland and parts of Northeast Asia. Visit spaceweather.com for some spectacular photos of this "midnight Sun" eclipse. 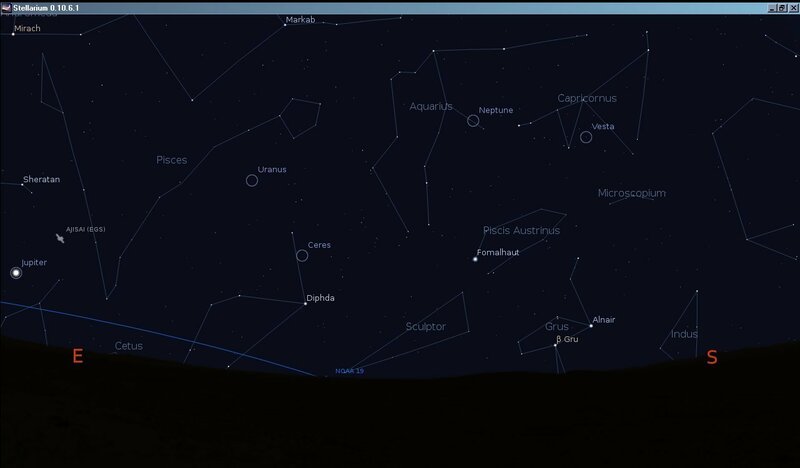 This month, the summer triangle of Altair, Deneb and Vega starts to become visible low in the east (check after 11:00 PM local time). The Moon enters its full phase on the 15th, and a total lunar eclipse will be visible most everywhere in the world except North America. After 11:00 PM local time, if you have relatively dark skies the Milky Way will be visible, stretching from north to south. At first glance, the Milky Way may be difficult to distinguish from high altitude clouds, but with time and practice you'll learn the difference - binoculars may help as well. Although the Milky Way is visible all year, many observers prefer the summer view. Of course, don't forget the summer solstice on June 21! July: A New Moon kicks off the month and there is another partial solar eclipse, but don't get your hopes up for this one; it's visible only in Antarctica. Bummer. Currently scheduled for July 8th is STS-135, the last flight for shuttle Atlantis, and the final flight of the space shuttle program. Check the Heavens Above website to see if Atlantis and the ISS will be flying over your local area; it'll be your last chance to see the two flying together through the sky. 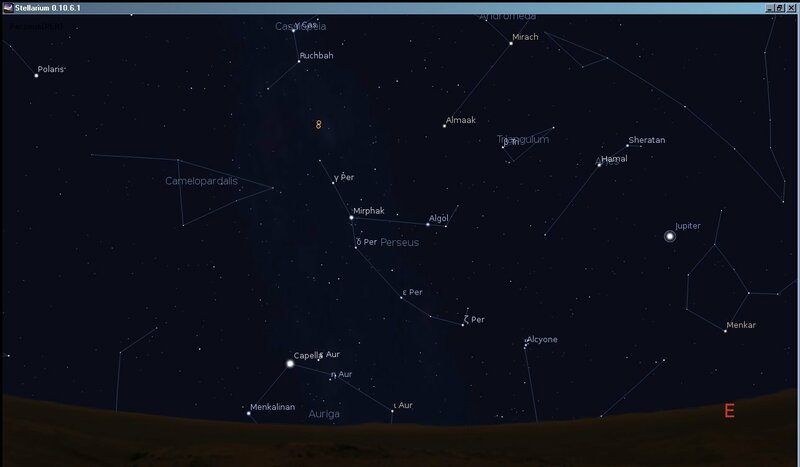 Near the end of July, the Southern Delta Aquarids meteor showers peak (July 28 and 29). 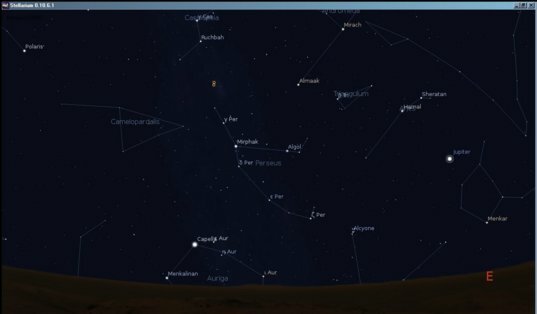 Look to the east in the constellation Aquarius after midnight. Since the peak of the meteor shower will be occurring near the new moon (July 30th), viewers should be treated to a good showing. Before dawn. If you have a good telescope, you could watch the Moon for impacts during the meteor shower. 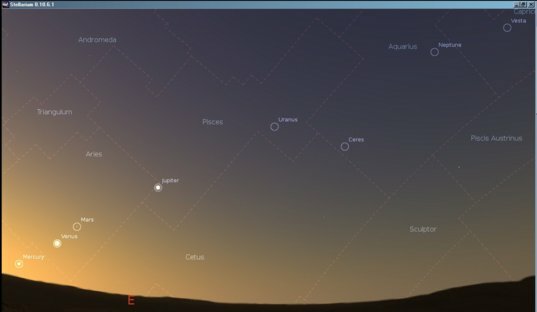 Jupiter will be visible low in the east after around midnight local time and will rise earlier in the evening throughout the month, appearing over the horizon around 10 PM by month's end. 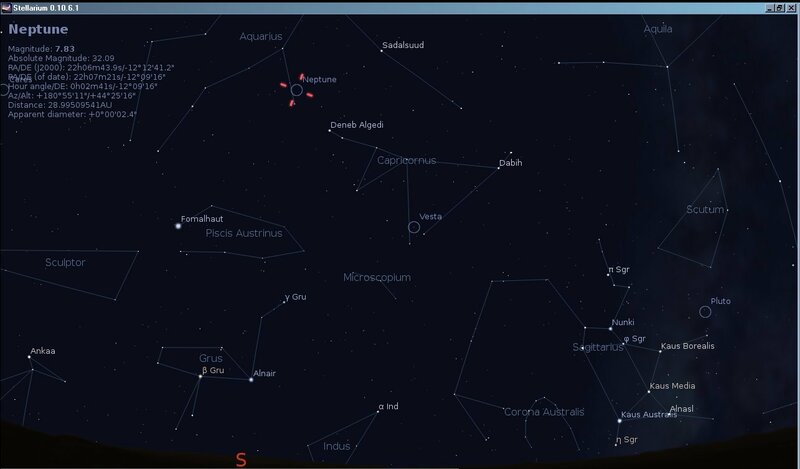 Stargazers with good telescopes will also enjoy Neptune at opposition on the 22nd. At 29 astronomical units away, and around magnitude 8, the blue planet will be no more than a very tiny dot in anything but the most powerful telescopes.